Martin has been producing high quality acoustic instruments since 1833. Old Martin guitars tend to be worth a great deal of money, and as such, it is important to be able to determine the model and serial number of your guitar in order to correctly ascertain its value. The major difficulty in this task lies in the fact that Martin has produced hundreds of different guitar models throughout its history, several of which look quite similar to an untrained eye. 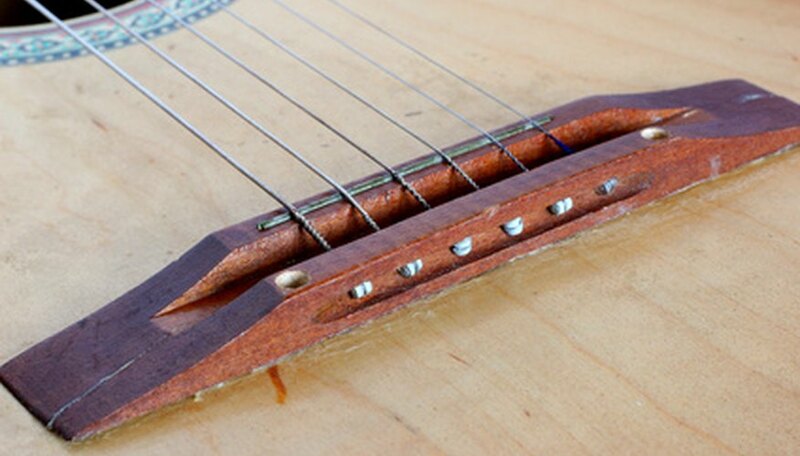 Look at the neck block located inside the sound hole. For all Martin guitars manufactured after 1928, the model and serial number is written here. Some older models also have the serial number written here. Check the back of the headstock for a four or five digit serial number. Martin guitars manufactured between 1898 and 1928 often have the serial number stamped on the headstock. Unfortunately, this is an area of higher wear than the inside of the sound hole, so it is possible that the serial number has been worn off if it is not present. Guitars made before 1898 do not have serial numbers. Check the neck joint at the back of the guitar for a serial number if none can be found elsewhere. As with the headstock, serial numbers placed here often wear away. Visit Martin's website and date your guitar (if you have found the serial number). They have an easy-to-read chart telling you when your guitar was manufactured. Familiarize yourself with Martin's size designations. The common size designations are O, OO, OOO, OM and D, from small to large. These tell you the rough size of the instrument. Larger instruments tend to be worth more than smaller ones. Placing one of these designations on an older Martin guitar can be difficult, but as long as you have some idea, you can better ascertain the value of your guitar. Contact Martin directly via their website if you have a guitar you think may be manufactured before 1898 (see Resources). They will help you place an approximate date on your guitar as well as telling you what model of guitar you have. If you are having trouble determining the model and serial number of your Martin guitar, take it to a guitar shop and ask the employees there if they know anything about your guitar.